That is a tough one! They are all good books.. I think I would choose goddess .. I love that series and need to read that book! I would love the 5th Wave or the Beautiful and the cursed. I think The Beautiful and the Cursed! I would pick Dare You To. Thank you for the giveaway! Dare You Too by Katie McGarry. I would choose The 5th Wave. Thank you for the giveaway. Dare You To or The 5th Wave. I can’t wait to read the beautiful and the cursed! I think I would choose The Summer I became a Nerd. Maybe The 5th Wave. Thanks! Oh… I love that author too! Probably that book for me as well… Either that or Goddess! I would have to pick b/w The 5th Wave and Dare You To. Thank you so much!! I’d pick Dare You To. I think The beautiful and the cursed!!!! Thanks for the great giveaway. I would choose The 5th Wave. I think I’d pick 5th Wave. I’d pick “Dare to you”. I read the first book and I loved it! It would be Dare To You. Not even a second thought. I have been wanting this book for awhile. The book that I would choose is Goddess by Josephine Angelini! I NEEDED to know who Helen chooses between Lucas and Orion! Thank you so much! I would pick “The 5th Wave”. It sounds super intriguing and like it would be right up my alley. Thanks so, so much for this giveaway!!! I would pick the Fifth Wave but I would love to read all of the books. Thanks for the awesome giveaway. I would love to win The 5th Wave! I would pick Dare You To. The Summer I Became a Nerd. I think I’d pick The 5th Wave. Thanks for the giveaway! I would substitute for Starcrossed because I’ve wanted that book since it came out and still haven’t managed to get my hands on a copy! I think The 5th wave! 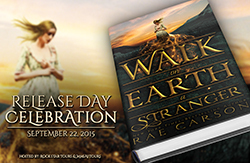 Whoa, whoa, whoa — awesome giveaway! I want The 5th Wave SO BAD!!! I NEED The 5th Wave! Goddess 😉 I want to know what happens so bad, it’s not even funny. Thanks so much for the awesome giveaway, girls! I would choose The 5th Wave! 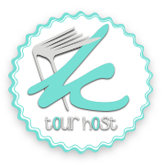 Thanks for hosting this blog hop! Thank you for the giveaway, I´d choose The Summer I became a Nerd. The Fifth Wave!!! I love sci-fi, post-apocalyptic:) Thanks!!! I would love to win The 5th Wave. My first choice would be Dare You To! I would choose the 5th Wave. I’d pick The Beautiful and the Cursed. Well, I’m actually a book behind on the Starcrossed series… so Dreamless would be *really* nice! ; ) Although, the Beautiful & the Cursed would be amazing, too! Thanks for the giveaway. Dare You To. Thanks for the giveaway! The Beautiful and the Cursed or Dare You To! Maybe The Beautiful and the Cursed. I’d choose Dare You To! Dare You To, please and thank you! I’d like the 5th wave. I would probably pick the 5th wave. The beautiful and the cursed. Thanks! I would pick The Beautiful and the Cursed. Definitely Dare You To! Thanks for a giveaway! Thank you for the giveaway! I am torn between The 5th Wave or The Summer I Became a Nerd! 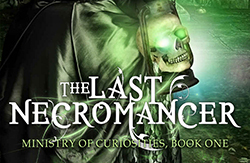 The Beautiful and the Cursed through & through; Paris & Gargoyles I am totally in for that book! I’d pick Dare You To. 😀 Thank you! I would probably chose either The Beautiful & The Cursed, Goddess, or The 5th Wave. I would choose The 5th Wave! I would choose Goddess, or the first in the series. 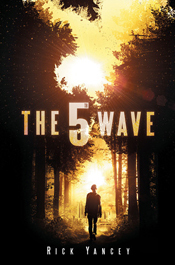 Oh my gosh, definitely The 5th Wave! I’m really looking forward to 5th Wave!! Can’t wait! The 5th Wave! I am really excited for this one! Thanks for the chance to win! Either Dare You To or The Summer I became a nerd! Thanks so much for the giveaway! I would love Dare You To. Thanks so much! I’m really looking forward to The Summer I Became a Nerd looks really cute! The Summer I became a Nerd. Thanks! Thanks for participating in this hop! If I were to choose any book from May to add to my collection, it would either be “Dare to You” by Kate McGarry or “Beautiful Stranger” by Christina Lauren. Thanks for the giveaway! Oh goodness…I would probably pick The 5th Wave. Id go with The Beautiful and The Cursed Thanks for the chance. I think I’d like The Summer I Became a Nerd. The Beautiful and the Cursed. Thanks for a chance to win! I would choose The Beautiful and the Cursed. Thank you for this giveaway opportunity! I would love to win The Summer I Became a Nerd! It sounds amazing… hopefully I’ll win! My birthday is the 24th and it would be an amazing gift! Thank you for this amazing giveaway! I’m torn between The Beautiful and the Cursed and Dare You To. Thank you! Thank you for the perfect giveaway. 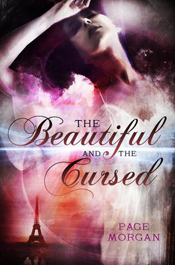 <3 I would love to read The Beautiful and the Cursed 😀 Love the cover. Sigh. I’m most eager to read The 5th Wave. It sounds better than awesome! I’d pick Dare You To. Thanks for the giveaway! Dare You To! 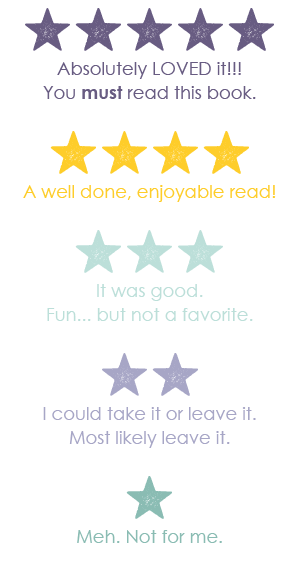 I LOVED Pushing The Limits and can’t wait to read Beth’s story….though I’m more than a little upset that she’s not going to end up with Isaiah. I’d love to get Dare You To. Thanks! The Beautiful and the Cursed, no doubt about it. 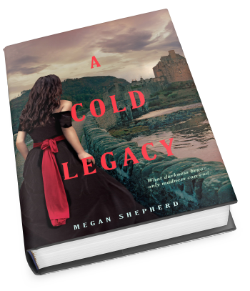 I am absolutely intrigued by that cover and the synopsis, and can’t wait to get my hands on it! Thanks for participating in the hop! I’m gonna go with Dare You To. Goddess, thanks for the giveaway. I would love Dare You To. The Beautiful and The Cursed OR The Summer I Became A Nerd. I think The Beautiful and the Cursed or Our Song. I would pick Goddess. Thanks for the giveaway!! The Beautiful and the Cursed! I would choose either The 5th Wave or Pushing the Limits (instead of Dare You To)…both sound like awesome books! Dare you to is hands down my choice if i won!!! Katie McGarry ‘s writing made i like contemperay YA i couldn’t get into it befoer but after PTL i can’t saty away. Dare You To, can’t wait to read this sequel! The Summer I Became Nerd.Thanks! I would choose The Beautiful and the Cursed. The 5th Wave. Thanks for the giveaway! The 5th Wave! I’ve heard such good things about this one! Thanks so much for the giveaway. I would choose The Beautiful and the Cursed or Goddess, for sure. Thanks! I would so choose The 5th wave! Thanks for the great giveaway! Dare You To or 5th Wave! I’d pick The 5th Wave. Thanks for the giveaway! I would choose either The 5th Wave or The Beautiful and The Cursed! Thanks for the giveaway!! I would pick the summer I became a nerd LOL!! I would probably pick the Summer I Became a Nerd. 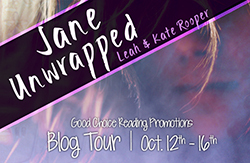 Rafflecopter: Lisa Jay. The Summer I Became a Nerd! It sounds so cute! I would choose Dare You To! I think I’d pick the 5th wave. It sounds good. Pushing the Limits. Thanks for the giveaway! I think I would pick The 5th Wave. Maybe the 5th wave. thanks for the giveaway! I’d like the 5th Wave. It sounds really good! I’d love to win Our Song or Dare to You! Thanks! I would love to win The Beautiful and The Cursed. I’d pick The Beautiful and the Cursed, i’m so excited to read it. I would pick either The 5th Wave or Dare You To. Thanks for the giveaway! I’d choose Dare You To! Thanks for a chance to win the giveaway! I’d pick the 5th wave. I would like to read The 5th Wave or Goddess. Thank you for joining this hop! Hmm I would choose the Summer I Became a Nerd or Dare You To. So many good options…. I’d pick The Beautiful and The Cursed. Thank you for the giveaway! I would chooseThe Fifth Wave. Thank you. The Beautiful and The Cursed, thank-you!! i would pick The Summer I Became A Nerd. Thanks for the giveaway! 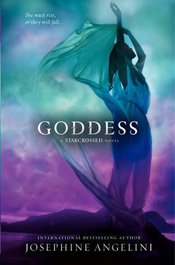 I would LOVE to choose Starcrossed instead of Goddess thank you!!! 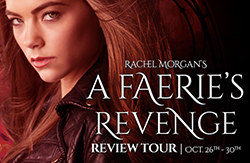 I would pick Dare You To – thanks for the giveaway!! I would pick Goddess! I cannot wait to read that book! It looks awesome! If I won I’d pick ‘The Summer I Became a Nerd’. Cause I have this book in TBR list. My pick is The Summer I Became A Nerd, thank you. I would choose Goddess! Thank you for the giveaway! I’ll probably choose The 5th Wave. I’d love to read The Beautiful and the Cursed. The Beautiful and the Cursed or The 5th Wave. Thanks for the chance! I would choose The Beautiful and the Cursed. Thank you for the giveaway! If I Should Die by Amy Plum. I’d pick The 5th Wave, but all your picks are great:) I haven’t read any of them yet but every one of them is on my TBR. I would pick The Beautiful and the Cursed! I’m SO excited for that one! Thanks for the giveaway! I’d most likely choose Dare You To! Either the Beautiful and the Cursed or the 5th Wave. The 5th Wave probably. Heard lots of people are reading it. Thanks! Most likely The 5th Wave. Thanks for the great giveaway! I would pick Dare to You…I’ve heard so many great things about it! I would pick Dare to you Thanks for the great giveaway! I would pick The 5th Wave! I would choose Dare to You :). Thank you for the giveaway! The 5th Wave. Thanks for the chance to win! Either the 5th Wave or The Summer I became a nerd! I would pick Dare to you or 5th wave! I’d pick Dare You To! I’d pick The 5th Wave! Everybody is loving it! Pushing the Limits or The Summer I Became a Nerd. Or Our Song. But probably Pushing the Limits. I’m so indecisive. Haha. That’s a hard one. I’d probably pick The Beautiful and the Cursed. Thanks for the giveaway.